ROCKY RIVER – With three of its top 2010 distance runners graduated and now participating at high levels as Student/Athletes at the collegiate level of track and cross country, Magnificat’s track team will have a new look this spring in its trademark event, the 3,200-meter relay, but as usual should be strong in it and other distance events, as well as a variety of other areas. There is one girl remaining from the 3,200 team that set the school record in 2009 with a 9:07.2, just four seconds slower than the state record, which has been held for nearly 10 years now by the other Blue Streaks, Beaumont. The 3,200 has been the hallmark of Mags track and field outfits all the way back to the early 1980s with Joanna Butts and the three Crowley sisters, which actually held the state record and was one of the nation’s top times in the 1980s. They were state runners-up in the event last spring. Thus, Mags has continued to flourish in the distance running events, evidenced by its three consecutive state cross country championships, which the track community could be certain the Blue Streaks will bank off of for more success this spring. While there is only one returning off the 3,200 team from last year’s state runner-up 3,200 team, Katherine Stultz was on the quartet that set the school record two years ago and will be on it again this season after running on it for the state champion indoor relay in 2010 and in the spring but then missing out on it at the state meet last year because of an injury she incurred at the Lakewood District Meet. Two years ago, Stutlz passed up eight runners after getting the baton in the state meet, moving the Blue Streaks from the back up the pack to the top going into the last leg in the 3,200 relay, which they wound up winning. She will be the team leader. The senior has already earned 3 letters in track and 4 letters in cross country, was the 2010 XC captain, and in Indoor State Meet was on the 1st-place 3,200m team, 4th place on the 1,600m team, 5th place in the 3,200m, has been a member of the 3-time State Championship XC Team (2008, 2009 & 2010). Stultz owns personal school records in the 1,600m: 4:5 and in the, 800m: 2:12. She also shares school records in the 3,200, 6,400 and distance medley relay events. The DMR’s 12:18.4 is also a state record. Stultz’ll be joined in the veteran wing of the team by sprinter/middle distance standout Sam Birchfield and speedy sprinter Rachel Hlatky. With endurance built up on the champion cross country team, Birchfield could certain run an 800 and could wind up on the 3,200 team with Stultz. The senior has earned 3 letters in track and 1 letter in cross country, was a 2010 cross country team captain, and in the Indoor State Meet on the 1,600m relay team took 5th place, and in last spring’s outdoor state meet was a state qualifier in the same relay. Birchfield shares the school record in the 1,600 relay along with Hlatky and Abbie Marquard, who is also returning this season. Hlatky holds two personal schools records and shares in four relay school records. Her 12.14 in the 100 dash is best in school history as well as her 24.37 200. She also shares in the 400, 800, 1,600 and sprint medley relay school records. The junior has earned 2 letters in track, in the Indoor State Meet was in 3rd place in 60m and 200m dashes, and in last spring’s outdoor state meet was in 8th place in 100m and in 3rd place in 200m. Marquard also shares in the 1,600 relay school record and holds the school’s best in the 400 dash with sub-one-minute speed. Another sprinter by trade, Marquard could wind up bumping up to an 800 and join the 3,200 relay team. The junior has 3 letters in cross country and 2 letters in track, was a member of the 3-time State Championship XC Team (2008, 2009 & 2010), in the Indoor State Meet was on the 5th-place 1,600 team, and in the Outdoor State Meet in ’10 was a 400m and 4x400m qualifier. Also off the state champion cross country team are Katie Kerr, Macey Walker and Nicole Samanich. A junior, Kerr is the sole returner from the 3,200 relay team that finished state runners up last June without the injured Stultz, and is the only one that for certain will be on the 3,200 team with Stultz when the season opens next week. She has 3 letters in cross country and 2 in track; also has been a member of the 3-time State Championship XC Team (2008, 2009 & 2010) and in the Indoor State Meet was on the 5th place mile relay and is a returning outdoor state qualifier from the 400 dash and mile relay. Also a senior, Samanich has 3 letters in track and 1 in cross country. She holds the school record in the pole vault (10 feet) and is a returning regional qualifier in the event. A sophomore, Walker should be on the 3,200 relay team since she holds the school record in the 3,200 open, which she has done in fewer than 12 minutes already. Also the 2010 track state indoor champs, Magnificat followed that act by winning championships in six big outdoor meets during the regular season in the spring, which was then followed by district and regional championships and state runners-up honors. The Blue Streaks have also undergone some coaching changes. Keith Whitman was their sprint/relay coach but now is the Head Country Coach and Assistant Track Coach in charge of distance at Ursuline College and, therefore, will not be returning to the coaching staff for 2011. Additionally, Chiara Simeone (Magnificat Class of 2004) has joined the staff as an assistant coach helping with the sprint group. Simeone was a captain of the 2004 Track & Field team, member of the throwing squad and 2003-2004 Magnificat High School Sportsmanship Award Recipient. Meredith Hale joins the coaching squad as an assistant distance coach. She ran for Piqua High School and Syracuse University. Not to be outdone in area of the Student/Athletic experience, Magnificat has an overall team GPA of better than 3.7. The majority of the team members take honors and AP level classes. All members of the State qualifying teams for both cross country & track have been All-Ohio Academic Award recipients by earning GPAs of 3.5 or higher. ALTAMONTE SPRINGS, FL – The Case Western Reserve University softball team lost its final game of the 2011 University Athletic Association Championship to Washington University (MO), 10-2 in five innings, on Monday, March 14 at Seminole Field. The Spartans will now head home to begin the northern portion of their schedule this coming weekend. The Spartans were unable to break the win column at the UAA Championships, falling to 2-12 overall and 0-8 in the conference. Washington improved to 9-4-1 overall and 6-2 in UAA action. Case fell behind 4-0 before getting on the board with two runs in the top of the fourth thanks to an RBI double by sophomore Kayla Lang (Broadview Heights, OH/Brecksville-Broadview Heights) and an RBI single by freshman Katherine Seo (Salt Lake City, UT/Olympus). Unfortunately, the Bears were able to strike for six runs in their half of the inning, then retire the Spartans in order in the fifth to evoke the eight-run rule. Seo was a perfect 3-for-3 at the plate for the Spartans. On the mound, senior Mary Kruszka (Lakeview, NY/Immaculata Academy) allowed four earned runs in two innings to fall to 0-4 for the season. After claiming a share of the team title this past week at the Winthrop Adidas Invitational, the Vikings will find the schedule pick up this week when they play at least five games as part of the Hawaii Spring Fling. The Vikings open play on Wednesday (March 16) against BYU at 10:00 p.m. and 14th-ranked Hawaii at 11:59 p.m. (all times EDT). CSU will take on No. 11 California on Thursday (March 17) at 7:00 p.m. before closing pool play against Iona on Friday (March 18) at 9:00 p.m. Championship play will be held over Friday and Saturday (March 18-19). "We are really looking forward to this trip in a number of ways," CSU head coach Angie Nicholson said. "Besides the obvious go and play in Hawaii aspect of the week, we will be playing against two top 15 programs and that will give us an idea of what kind of team that we will have when conference play begins later this month." The Vikings are 9-5 on the season after going 4-1 last week at Winthrop to claim a share of the tourney title. Tess Sito was the primary pitcher for CSU, going 3-1 with a save to improve to 7-3 on the year. She also hit three home runs to share the team lead with Dara Toman with four. Senior Kala Allred took advantage of an opportunity to get steady at bats and hit .273 (3-11) with a home run and five RBIs in the tourney. Gabby Gillilan hit .375 (6-16) with a home run and four RBI while Amy Powell hits .333 (5-15) with a home run and three RBIs while Jessica Burt hit .300 (6-20). Andrea Nagy, Burt and Sito each stole four bases to help CSU go 15 for 16 in stolen base attempts during the tourney. Port Charlotte, Fla. – March 14, 2011 – The no. 1 ranked Heidelberg University baseball team worked together in the ninth inning to post a come from behind 8-5 victory over Carthage College at the Snowbird Classic in Port Charlotte, Fla.
Heidelberg was down 5-3 heading into its final at bat, but produced a four-hit, five-run inning to remain undefeated at 9-0 on the year. Carthage evens its record at 3-3. Heidelberg batted around in the inning en route to the win. With one out, back-to-back walks set the stage for a hard hit two-RBI single up the middle by Alex Monroe (Chagrin Falls, Ohio / Kenston) to tie the ballgame. Gar Keen (Sparta, Ohio / Highland) followed Monroe with a RBI single to left center for the eventual game-winning run. Heidelberg added on two insurance runs off the bat of Jason Lash (Strongsville, Ohio / Strongsville) and Derek Andrzejczak (Sylvania, Ohio / Sylvania Northview). Carthage had one last at bat, but Heidelberg closer Andy Lowe (Fort Wayne, Ind. / Carroll) and the defense behind him did not falter. Lowe stuck of the first two batters with seven pitches and the win was sealed with a ground out to second base. The game opened with Carthage holding a 2-1 lead after one inning of play. Ricardo Lizcano (Toledo, Ohio / Roy C. Start) sent the first pitch of the game down the right field line for a triple and eventually gave Heidelberg its first run of the game on a sacrifice fly from Keen. In the bottom half of the inning Carthage had a RBI triple of its own that scored a run followed by a sacrifice fly to take over the scoreboard. After two scoreless innings, Carthage went on to outscore the Berg 3-2 over the next four innings. Both sides were held scoreless in the eighth inning before the Heidelberg hitters stepped up to the plate in the ninth. For the game, Heidelberg finished with 11 hits. Alex Monroe led the way with three hits, three runs batted in and two runs scored. He was hit by a pitch and had a double on the day. Finishing with two hits apiece was Willie Brechun (Canton, Ohio / Canton Central Catholic) and Jordan Martin (Powell, Ohio / Olentangy). Keen knocked in two runs and scored one of his own. On the mound, Nathan James (Rockport, Ind. / South Spencer) got the start and had a no decision. He went 5.0 innings, giving up five hits, four runs, three earned, while striking out four. Branden Stucky (Medina, Ohio / Medina) came out of the bull pen to start the sixth and threw three innings of relief and picked up his first win on the mound for the year. He gave up just two hits, one earned run and struck out one. Lowe preserved his fourth win on the year. He did not allow a hit and had two strike outs. GATES MILLS – Despite its Varsity A Boys’ Ice Hockey team falling to fellow Brothers of Holy Cross school St. Edward in the state semifinals, Gilmour’s hockey program was still a winner over the weekend, as its highest level team, the boys’ Prep team, won the regional championship in a shocker. With two varsity boys’ teams, a prep girls’ team and prep boys’ team, Gilmour is the only school in the state with four hockey outfits and the only one with two sheets of ice on its campus. Already with a strong national presence due to its higher number of alumni/alumnae studying and playing hockey at East Coast colleges, Gilmour and its hockey family could be assured that this big victory sends another strong shot into the arms of an overall program that is the fastest growing in terms of its rapidness in moving up the ladder of the success in the state, regionally and nationally. The Lancer prep team, which is made up of the top 20 hockey S/As in the school (those who played against St. Ed were 21-40 on the list in the Student/Athlete hockey pool at GA) will be playing in the National Tourney March 30 to April 1 in Simsbury, Conn. 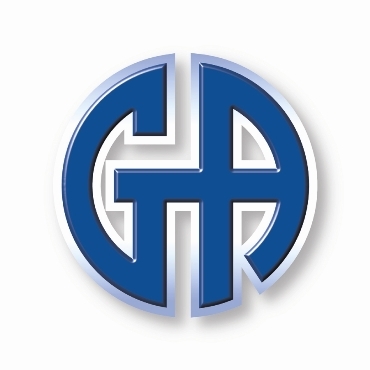 Earlier in the day, Gilmour Prep beat the Cleveland Barons U18 AAA team, 4-2, in the semi-finals. In the championship game with six minutes remaining, the Lancers were trailing 3-1. Junior Anthony Guaini got the Lancers within one with a hard wrist shot through the goalie’s legs. Then with a minute ten seconds remaining, senior Thomas Crabtree went hard to the net and scored on a rebound goal to tie the game and force OT. Senior Captain and South Euclid native, Michael Phillips, stamped the ticket to nationals with a wicked wrist shot, beating the goalie glove side with 1:43 left in the first OT. Senior goalie, Andrew Pikul stopped 34 shots to preserve the victory. KENT – Those wishing to get in early and save a few bucks on some of the top-level soccer training in the area have two weeks remaining to sign up for the Early Bird Special for any of the 27 HandsOnSoccer camps for this summer. Otto Orf, founder and coaching director for the 501(C)(3) HOS, has extended a #25 to those youth signing up online prior to April 1 for any of the 27 summer soccer camps. The former world champion goalie for the Cleveland Crunch and various nation teams includes in his staff a number of area Student/Athletes who have done well here at the high school level and are now standout collegiate S/As. HOS has four different programs: 1) starters (ages 4-7), 2) intermediate field players, 3) goalkeepers (beginners and advanced) and 4) advanced/high school players. Orf and HOS have been serving soccer boys and girls of NE Ohio/Greater Cleveland for 21 years now. Attendees may sign up for half day or full day programs. Cleveland State heads to post-season play for just the sixth time in program history, and third in the last four seasons, when the Vikings host Vermont (23-8) on today, March 15 beginning at 7:00 p.m. in the Wolstein Center. The game will be streamed live on ESPN3.com with Jim Barbar and Dave Kaplan providing the commentary. This will be the fourth trip to the NIT for the Vikings, and second under Gary Waters, with CSU owning a 2-3 record all-time in the tourney. The contest will be the first home game in postseason since the Vikings toppled Illinois State, 89-83 in 1988. Waters will be going for his 100th win at CSU, entering the contest with a 99-69 mark in five seasons. Cleveland State is 26-8 this year, the second-highest single season win total in school history. Vermont enters the contest with a 23-8 record after winning the America East regular season title and advancing to the semi-finals of the league tourney before falling to Stony Brook. The Catamounts are no stranger to the Vikings as CSU has won both previous meetings, the last coming in November of 2001. A victory would send CSU to a second round game against the winner of the Tuesday's No. 3 Dayton at No. 6 College of Charleston contest. CSU IN THE NCAA STATS: Cleveland State received numerous mentions in the most recent NCAA men's basketball statistics, which were released on Friday (March 11). Individually, Norris Cole ranked 11th in the nation in scoring (21.6), 22nd in steals (2.2) and 38th in assists (5.4). As a team, the Vikings were in the top 80 in nine categories, ranking 23rd in turnover margin (+3.0), 29th in winning percentage (.765), 35th in turnovers (11.6), 47th in scoring margin (+7.9) and free throw percentage (.735), 61st in scoring defense (63.7), 7th in three-point defense (.326), 77th in steals (7.4) and 78th in field goal defense (.413). WATERS GOES FOR VIKING WIN NO. 100: With a 99-70 record in five seasons at CSU, head coach Gary Waters will be going for his 100th victory as a Viking when the Vikings host Vermont in the NIT first round. The Cleveland State baseball team will open its home slate this weekend, hosting Bowling Green at All Pro Freight Stadium in a three game series. The Vikings and the Falcons will play a double header on Saturday (March 19) with games scheduled for 1:00 p.m. and 4:00 p.m. and will close the series on Sunday (March 20) in a 12:00 noon contest. Prior to that, the Vikings will play their first midweek game of the season, traveling to Beckley, W. Va. to play Marshall at Linda K. Epling Stadium on Tuesday (March 15). That game is scheduled to begin at 3:00 p.m. The Vikings dropped three games at Cincinnati last weekend to fall to 2-10 on the season. CSU has lost its last seven contests, all non-league games. "We're just going to keep our heads up," head coach Kevin Kocks said. "It's a long season, and we're only 12 games in. The whole season is a 58 chapter book, and we're only 12 chapters in. We have to get excited about chapter 13, about chapter 14. We're doing some good things, we just need to cut down the mistakes." The first game of the series was decided in extra innings, with Cincinnati winning, 3-1, on a walk-off, two run homer in the bottom of the 10th. CSU had tied the game at one in the sixth inning when Anthony Sambula hit a single deep into centerfield, allowing Alex Gnezda to score. Sambula, who was also the starting pitcher, struck out six Bearcats and allowed only one run in 8.2 innings of work. The Vikings also played on Saturday (March 12), dropping a 13-1 decision, and on Sunday (March 13), falling, 5-0. Cleveland State pitchers walked a combined 13 Bearcats and hit five batters in those two losses. The women's tennis squad is back in action three times this week when the Vikings head south for its spring training trip. The week begins with a 2:00 p.m. match at Louisiana Lafayette on Tuesday (March 15), while the Vikings will also play at Nicholls State on Wednesday (March 16) and at Lamar on Sunday (March 18). "I feel that we are playing better tennis than our record indicates," head coach Brian Etzkin said. "We are playing a lot of nationally ranked teams and some of the better teams in the region and while the results may not be there in terms of wins, I am seeing improvement every time we take the court. As long as we don't get caught up in the wins and losses, I think everything will work out for this group in the end." CSU split a pair of matches in its last competition on Sunday (March 6), dropping a 7-0 decision at Akron before returning home to defeat Oakland, 6-1. Westlake, Ohio – It didn’t take long for rookie Mickey Fiorillo to make an impression on his peers in the North Coast Athletic Conference as he was named as the league’s Player of the Week, the conference office announced on Monday evening. 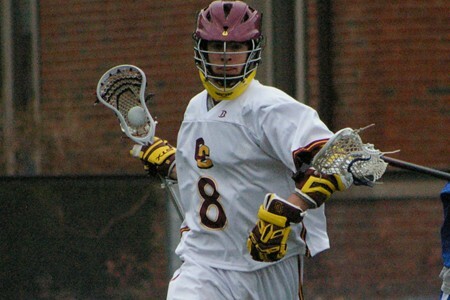 Fiorillo, a native of East Lyme, Connecticut, scored three goals and added assist in Oberlin’s 8-3 victory over Shenandoah. Through three games, Fiorillo is tied for the team lead with five goals and three assists. He and the rest of the Yeomen return to action on Wednesday night at Trine University.